When you think of sun-filled holidays, white beaches, moderate weather and tasty cuisine, the first thing that comes to mind is the magic of the Mediterranean. The region is home to a diverse lifestyle that combines the best of several different cultures to unleash an abundance of visual richness and inviting warmth. Mediterranean design is pretty similar in its aura as well, and we have already seen some amazing bedrooms bring this style to the contemporary home. Today, it is the turn of the heart and soul of the house: the kitchen. 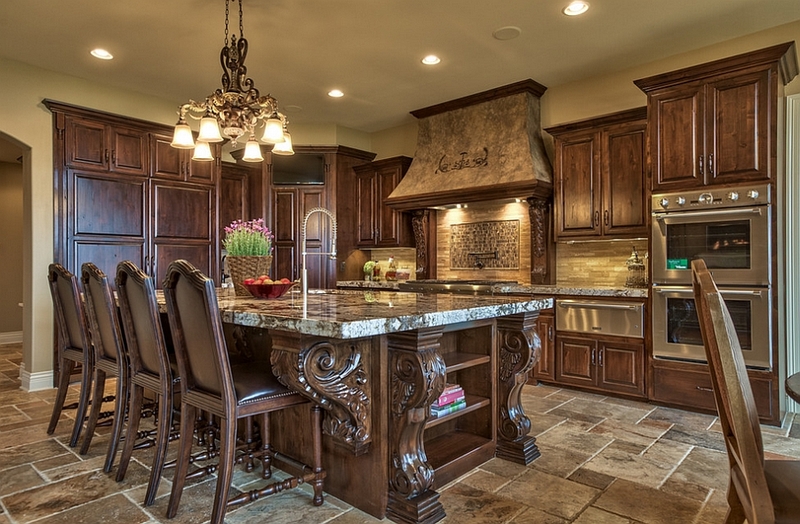 Elegant, classy and timeless, Mediterranean kitchens have a distinct ambiance of their own. But why switch to Mediterranean, you ask? Apart from the aesthetic upside, these kitchens might well promote a more ‘Mediterranean-centric diet’ that experts claim will help you stay genetically young! That’s right, it is not the just the kitchen that will benefit here, as this makeover could very well inspire you towards a healthier and happier tomorrow. So, let’s get started, shall we? 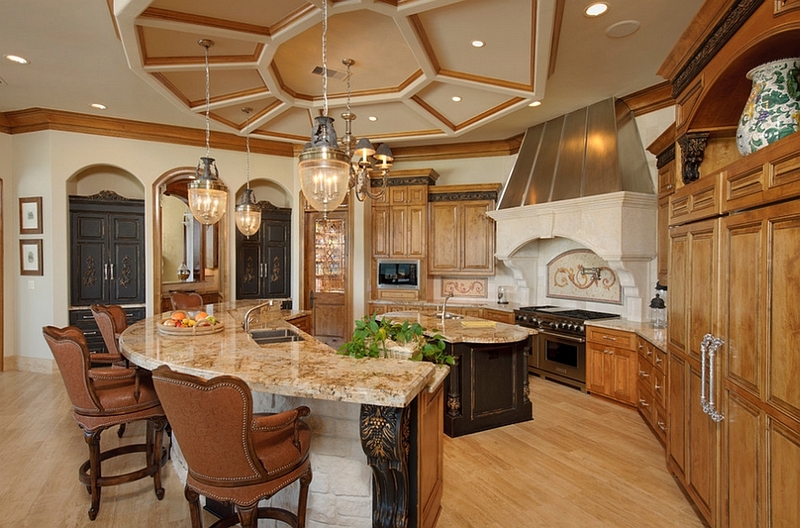 If you are thinking about giving your existing kitchen a Mediterranean makeover, then make sure that you absolutely love the look before you delve in completely. The inspirations here will give you a fair idea of what to expect, but pick and choose the elements that you really like. 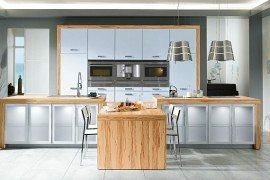 While those with sleek, contemporary kitchens would find the transformation far more daunting, if you have a traditional, rustic or cottage-style kitchen, then it is a lot easier. Start with the backdrop and choose a warm color palette inspired by the hues of the region. Let the background be draped in rich yellow, mellow cream or other sunny shades that look both elegant and appealing. Add in bright pops of orange, red, blue and green and take a layered approach to the overall color scheme. 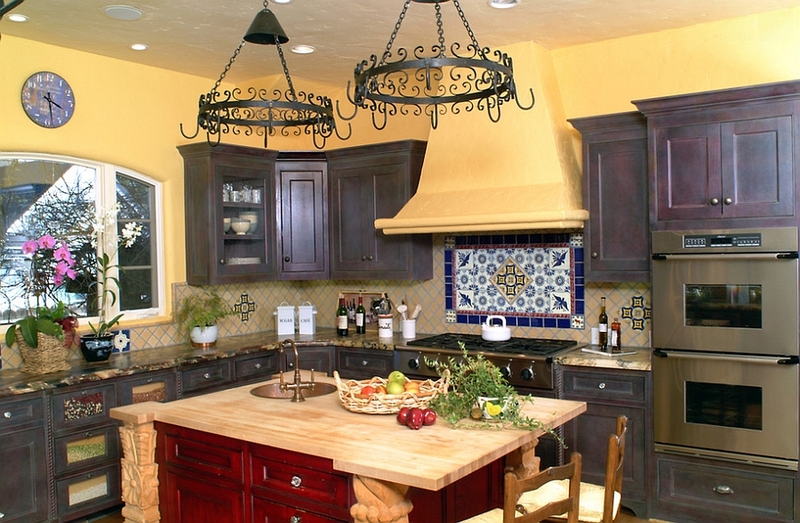 Remember that Mediterranean kitchens welcome a plethora of exciting colors. 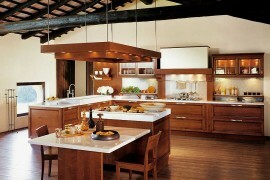 This makes the kitchen an even more appealing prospect for the white, cold winter months ahead. 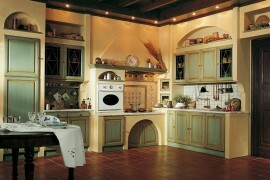 Curves are an integral part of styles such as Tuscan and Spanish, which leave a huge mark on the Mediterranean kitchen. 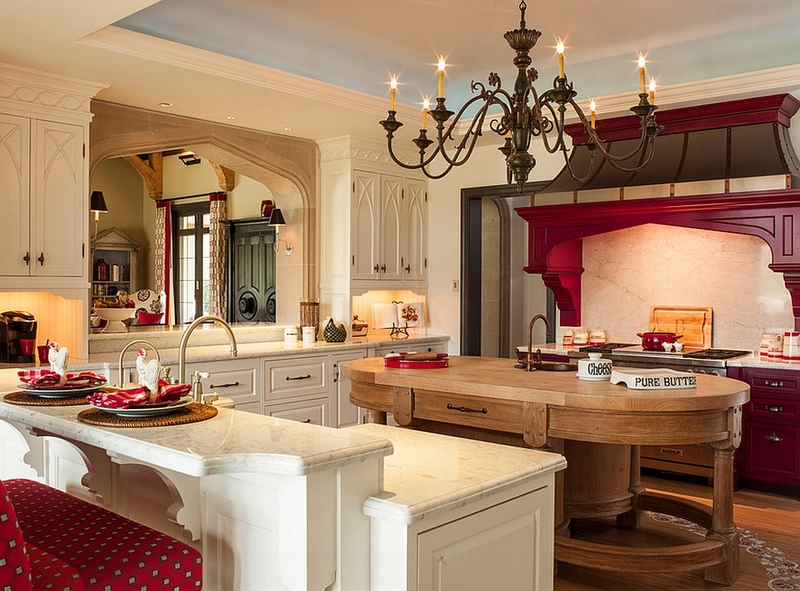 Flared hoods help bring in these sensuous curves while giving the kitchen a timeless appeal. 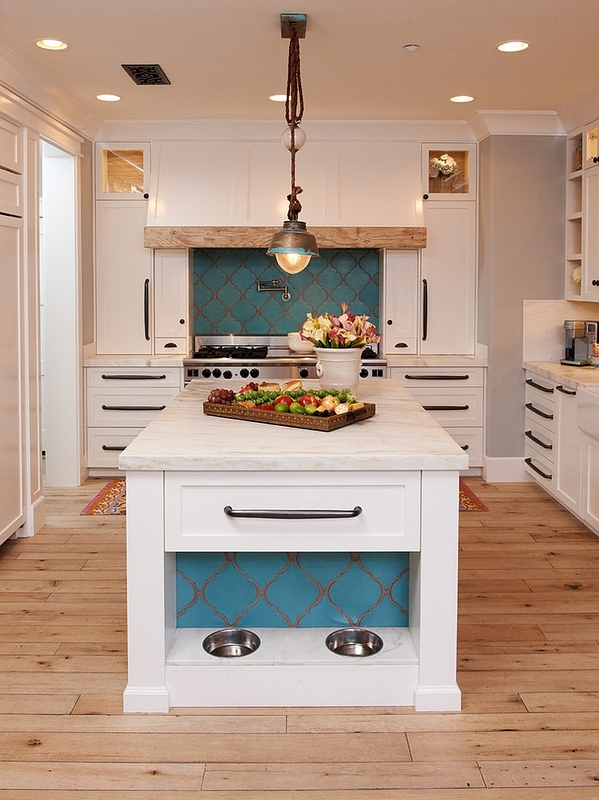 Think of geometric shapes beyond the simple, straight line, and you can also use other kitchen elements like cabinet handles and faucets to usher in a curvier look. 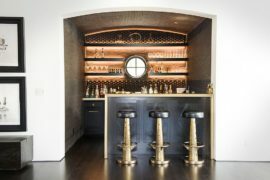 For those willing to go down the unconventional route, a circular false ceiling or a curved kitchen island can add grandeur with a vintage touch. 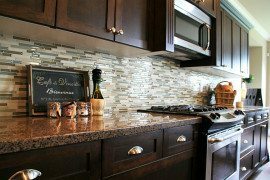 Using tiles in earthy tones for the flooring along with hand-painted mosaic tiles for the walls and the backsplash is an easy way to usher in that elusive, authentic Mediterranean look. 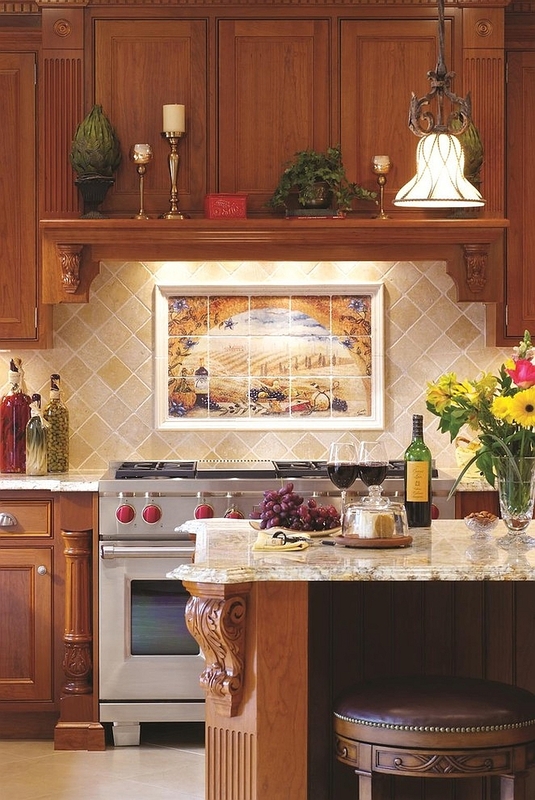 Ornate patterns and beautiful prints are an integral part of the classic Mediterranean home, and the kitchen epitomizes this approach. This is also an easy way to create the focal point in the room without adding ‘over the top’ fixtures. 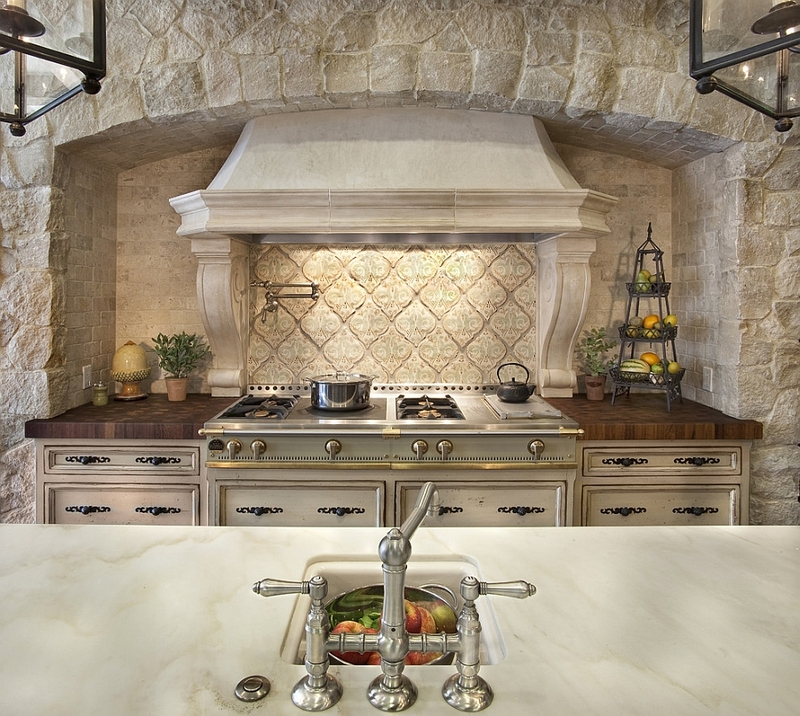 Rarely do we ever find a Mediterranean kitchen without the presence of a beautiful wrought iron pattern on the cabinet doors or large chandeliers in metal that steal the show. Mesh doors are another popular choice that adds a touch of metal and also brings in a tinge of rustic charm. 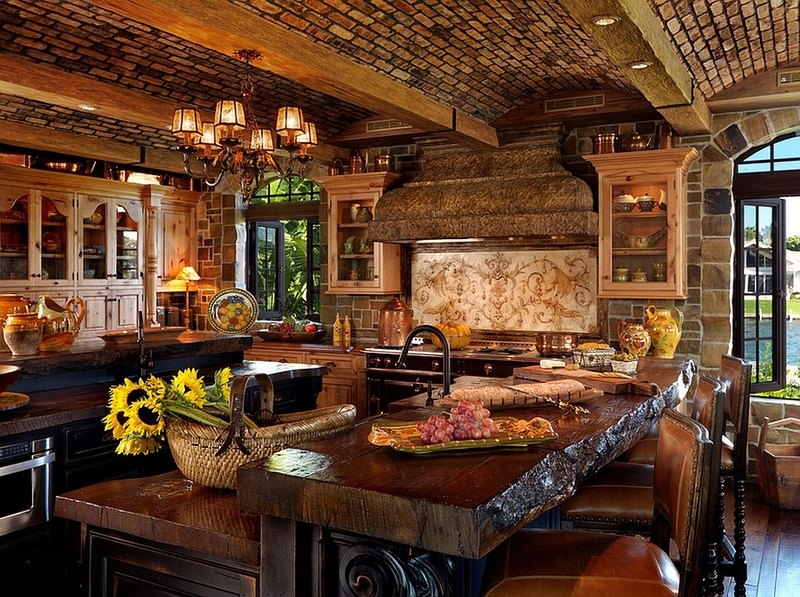 Engraved crests and other metallic details with a period look seem right at home in these engaging, cozy kitchens. 5. Look to the Ceiling! 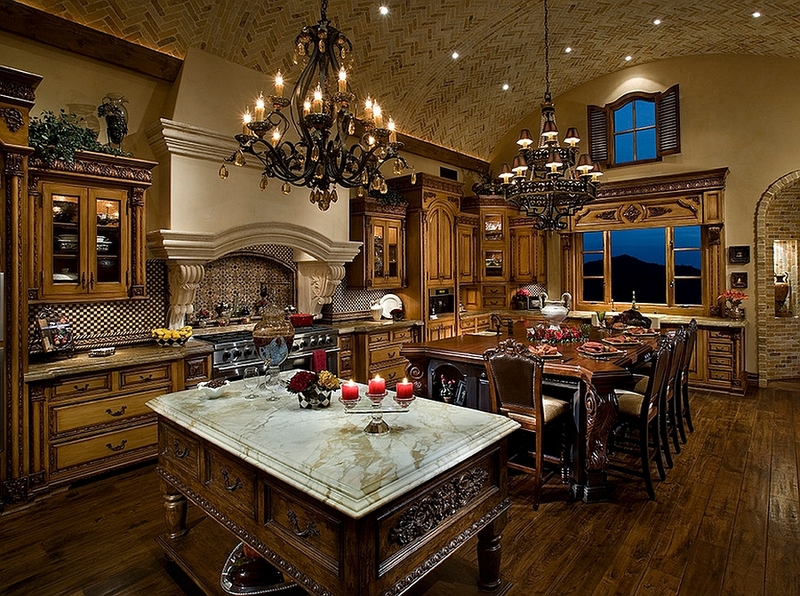 Dark wooden surfaces are another staple of the Mediterranean kitchen, and in this case it is often the ceiling that puts the exclamation mark on the style. 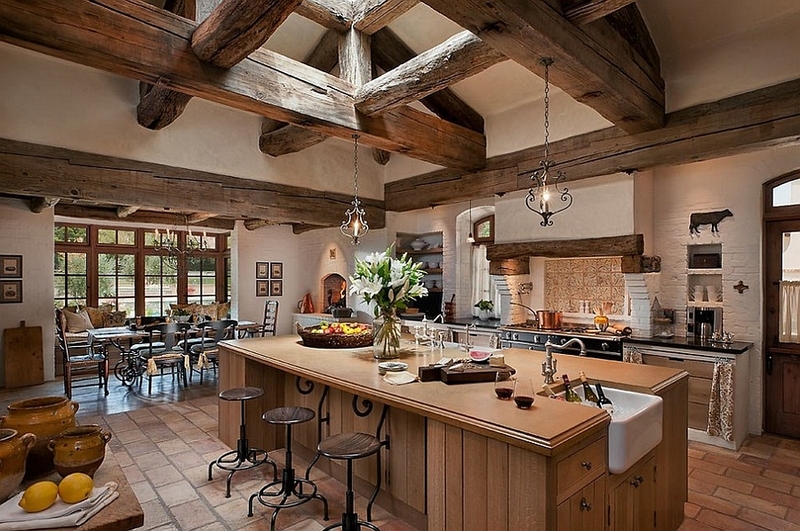 Exposed wooden ceiling beams find a snug home in the gorgeous Mediterranean kitchen, which benefits from their presence. 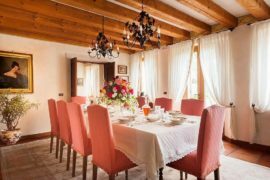 No longer are these ceiling beams an unwelcome hassle, and using wooden cabinets in a similar wooden hue enhances this appeal. 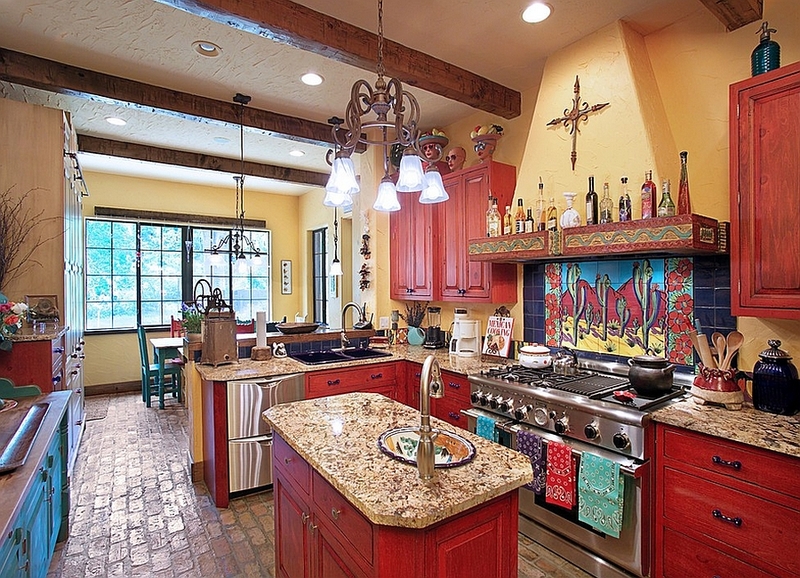 If you have a kitchen with vaulted ceiling and exposed beams, then the Mediterranean style is the one to turn to. 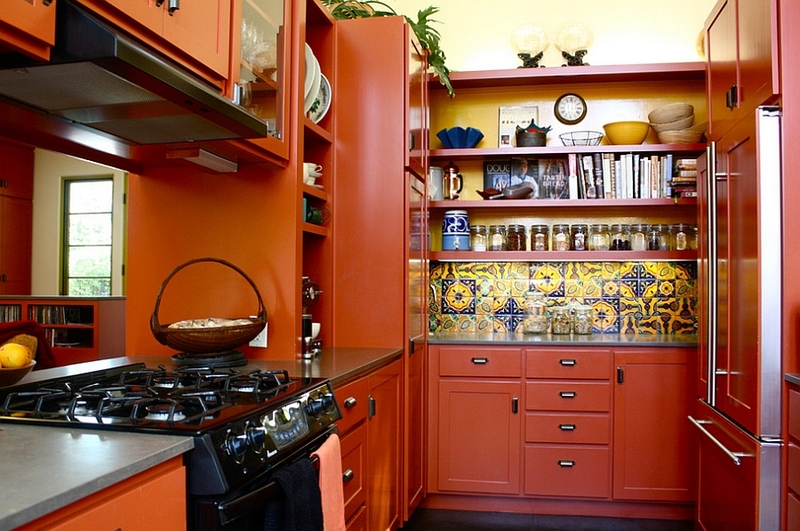 It is not just richness of color that a Mediterranean kitchen demands. 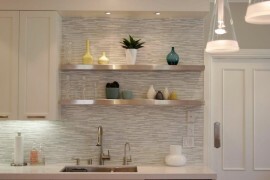 You’d better enhance the textural aspect of the space as well, and stucco walls are a fun way to get this done. You can even try a rug with a classy pattern or an earthen hue to get this done. 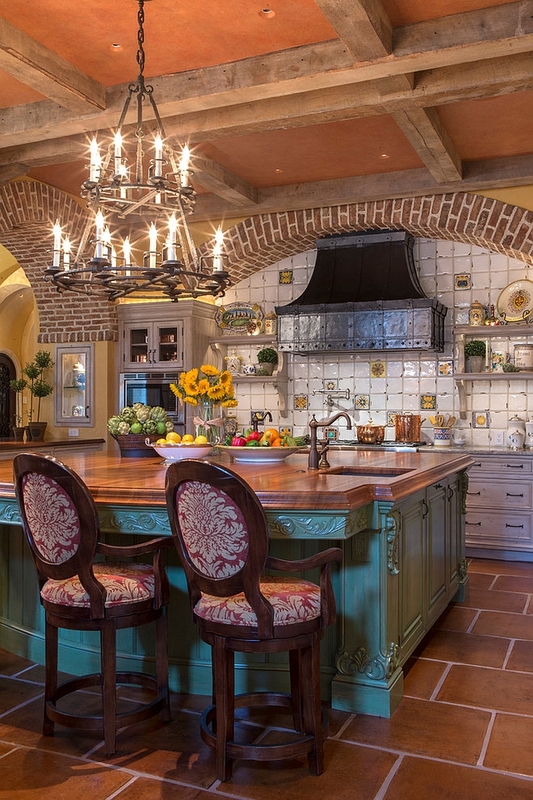 Cap it all off with the right lighting that also borrows from the classic Mediterranean style. 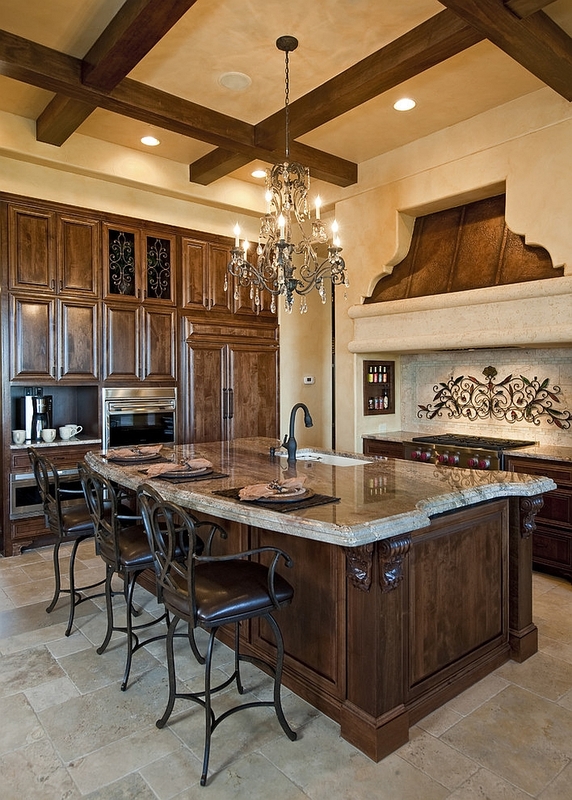 Large wrought iron candle chandeliers, metallic pendants and sconces fit the look beautifully.